I love Disney music. It’s something that I’ve never outgrown. The songs from Disney’s movies, tv shows and theme parks make up a large part of the soundtrack of my life. It’s not surprising to find out that many people feel the same way. Disney music is one of those things that crosses the barriers of language, geography, and culture. 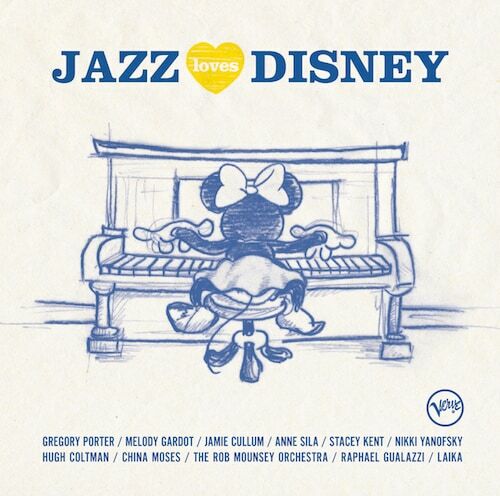 One example of that is a new album called Jazz Loves Disney. I had the opportunity to listen to this album before it gets released later this month. Before I tell you my thoughts on it, indulge me while I share how Disney music has touched my life. As a kid, my family would take annual road trips to Walt Disney World. Our main source of entertainment: music. We all had different tastes when it came to music, but we could all agree on Disney. Disney classics and songs from Disney theme parks kept us singing along together instead of fighting. The only one who didn’t seem to enjoy it was my dad. We used to torture him by singing “it’s a small world” over and over. One year, we changed out the toilet paper dispenser with a new one that played the chorus each time it was used. We got a lot of mileage out of that song. Years later, my dad ademitted that he actually liked the song and just played along with us. Now that I have kids of my own, I can understand why he did that. Disney music is also one of the things that brought my wife and I together. Although she had never been to Walt Disney World before meeting me, she had as much love for Disney as I did. Disney music was a shared experience for us before we had ever even met. Lisa finds it amusing that I sing songs from “The Little Mermaid” or “Beauty and the Beast” when I think I’m alone in the kitchen washing dishes. I’ve also been known to entertain (torture?) our kids by belting out their favorite songs from “Frozen” and “Tangled”. I wonder which song my kids will come to believe I can’t stand. Over the years, we’ve seen plenty of Disney songs get covered and given new life. I’m always intrigued by the new takes on classic Disney songs. When I heard there was a big band/jazz album of Disney favorites coming out… I was excited to give it a listen. Jazz Loves Disney is a project that brought together musicians who love Jazz as well as Disney music. Each artist chose a song that meant something to them, and the result is an album that spans generations and includes classics as well as contemporary hits. I may not have known the musicians of the songs on Jazz loves Disney prior to today. But they’ve all demonstrated their love and appreciation for Disney music, which makes me feel like I kind of know them. It’s that shared experienced that makes music so special. My favorite songs on the album are the ones that are completely transformed with their jazz arrangements. 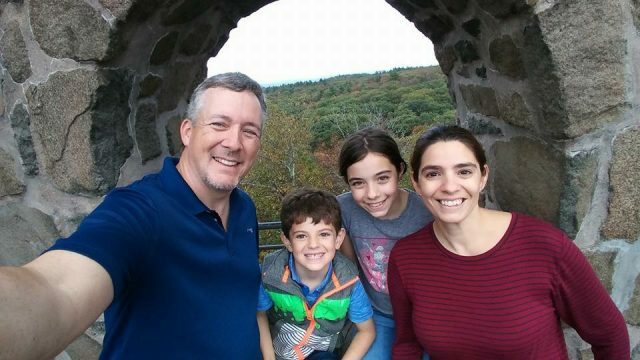 Stacey Kent’s take on “Bibbidi Bobbidi Boo” is sung in French, but we all know the magic words, which makes the tune unmistakeable and enjoyable. I can’t stop picturing Cinderella’s Fairy Godmother transforming everything in the produce aisle of the supermarket. You don’t have to be a Jazz lover to love this album, but it may require some time to get used to. Our daughter, Bella didn’t particularly care for a Jazz remake of “Let it Go”. It was probably too soon for her to accept a new version of what is probably get most favorite Disney song to date. However, I believe that if Disney music has touched your life the way it has for many of us, you’ll enjoy Jazz Loves Disney as much as I did. The music is true to the whimsical and loveable qualities that made the originals part of the soundtrack of all of our lives. Jazz Loves Disney will be available to purchase on November 18th. You can download digital versions from iTunes or Amazon.